Known as the birthplace of West Coast aviation, Pearson Field promises a wealth of activities and sights for airplane enthusiasts and history buffs to enjoy. Now operated by the City of Vancouver, Pearson Field is one of the nation’s oldest working airports, providing aviation services to the greater Vancouver USA community. The sprawling 3,275-foot runway landed the first aerial crossing of the Columbia River in the early 1900s, and Pearson is the only airport in the U.S. that functions adjacent to and partially within the boundaries of a national historic reserve. Once a polo field and later the site of a spruce cut-up mill, the space was given its name in 1925 after Lt. Alexander Pearson—an air service legend who won the first cross-country air race and made the first aerial survey of the Grand Canyon. Feast your eyes on a full-scale replica of a World War I French Voisin III bomber—one of several historic airplanes at Pearson Air Museum. 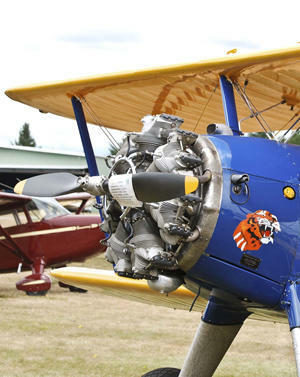 Managed by the National Park Service, Pearson provides the opportunity for visitors to explore aviation history tied to Pearson Field and Vancouver Barracks. Learn about Soviet aviator Valeri Chkalov’s first non-stop, transpolar flight that landed at Pearson Field in 1937, and notable visiting pilots like Charles Lindbergh and Jimmy Doolittle. Head over on Tuesday through Saturday; admission is free. The Pearson area is home to many events throughout the year, including a Sweetheart Dance in the hangar for Valentine’s Day and Open Cockpit Day for aspiring little pilots and airplane enthusiasts. The Pearson Field Education Center, run by the Pearson Field Historical Society and The Historic Trust, has Open Saturdays with flight simulators, a vertical wind tunnel, historical airplane displays, and more.